UEFA has confirmed that a minute’s silence will be observed at all UEFA Champions League and UEFA Europa League matches this week in memory of Emiliano Sala. A minute’s silence before kick off will be observed at every UEFA competition match this week in memory of Emiliano Sala, who died in a plane crash on 21st January. Having concluded a transfer from Nantes to Cardiff City, the 28-year-old forward was killed when the plane he was travelling in along with pilot David Ibbotson crashed into the English Channel on 21 January. Sala’s body was formally identified on 7 February. 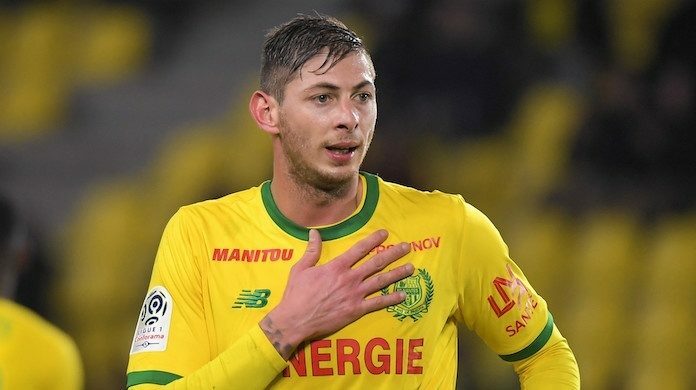 Sala had just joined Premier League side Cardiff City FC and was on his way back from saying goodbye to Nantes’ players when the plane he boarded crashed into the English Channel. The 28-year-old’s body was recovered last week and formally identified on February 7th, however, the pilot David Ibbotson is still missing.